Colombian and Deakin University students will transform Eastern Beach in virtual reality through a “cutting-edge“ project this month. The project combined virtual reality with real images, sounds and texture in a new way to create a “feeling of place”, team leader Beau Beza said. The students’ work could lead to a virtual reality platform where architects and developers immerse themselves in their project designs, he said. 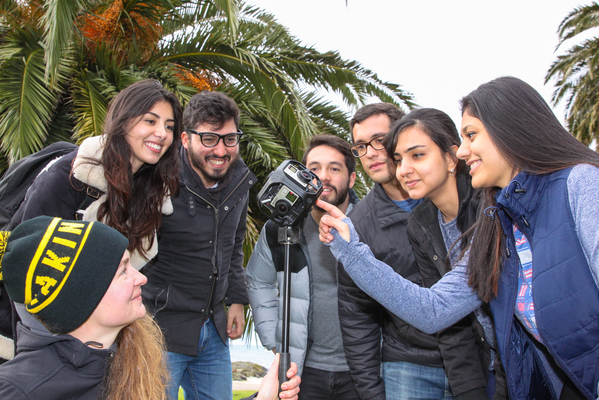 The students took photos over the past fortnight with a 360-degree camera to create a virtual “Colombian cultural experience” at Eastern Beach, Dr Beza said. The project would help determine the realism required for a virtual reality platform for planning approvals and large-scale infrastructure projects. The students’ work could lead to an app allowing people to virtually experience a proposed development at different times of the day, he hoped.